rebuild the S13 that Dai competed in during the last two events of the 2009 season. motor that will be producing over 650hp. a good amount of points coming from the last two events in which he drove a S13. The first Formula D event of the season will be in Long Beach, CA on April 10th. 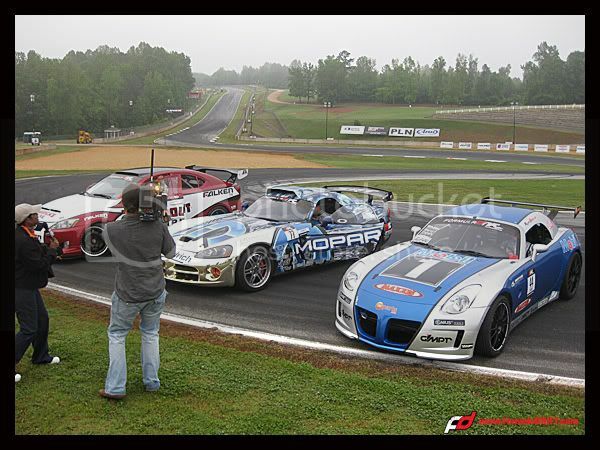 This morning FOX 5 morning news came to Road Atlanta to showcase what the event will be all about this weekend. Drivers Samuel Hubinette, Rhys Millen, Daijiro Yoshihara, and Ryan Tuerck were highlighted and they gave the camera some great drifting footage. The reporter jumped into the Nuformz / Mopar Dodge Viper with Sam behind the wheel and received the ride of a lifetime. The news video will be posted soon. Falken Tire has released this amazing video from Formula DRIFT Round 1: Streets of Long Beach featuring: Daijiro Yoshihara, Tyler McQuarrie, Vaughn Gittin Jr., Calvin Wan, Darren McNamara and Ross Petty. Check it out! Posted in Behind The Scenes | Tagged Calvin Wan, Daijiro Yoshihara, Darren McNamara, Falken, Formula DRIFT, Ross Petty, Tyler McQuarrie, Vaughn Gittin Jr.